Bill H. Seki was admitted to the California State Bar in December 1988, and has been admitted to the United States District Court, Central District. Mr. Seki is a graduate of California State University, Northridge and Southwestern Law School. From December 1988 to December 1997, Mr. Seki was a Deputy District Attorney with the County of Los Angeles. While there, he gained valuable experience prosecuting a wide range of high profile cases including murder, sexual assault, and public corruption. He was a member of the Special Investigations Division responsible for investigating and prosecuting public officials, including police officers, judges, and elected officials. After nine years in the District Attorney’s office, he joined the firm of Mounger, Gonda & Seki in January 1998 where his practice included criminal defense, white collar crimes and administrative hearings, with an emphasis in representing law enforcement. Mr. Seki was actively involved in a number of high profile cases, including the representation of officers in the “Rampart Scandal,” where he was able to garner global settlements with state and federal prosecutors that significantly reduced charges and incarceration time for the officers. Mr. Seki successfully represented officers during internal affairs investigations and disciplinary hearings for many law enforcement agencies. 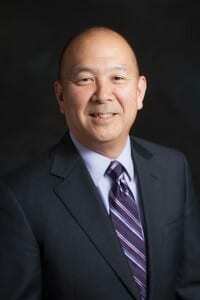 In May 2003, Mr. Seki joined the firm of Harrington, Foxx, Dubrow and Canter, LLP. He continued to concentrate his practice in the areas of criminal defense and administrative hearings with an emphasis on law enforcement. Additionally, his practice included defending those accused of white collar crimes and public officials accused of misconduct. Currently his practice areas focus on his expertise in criminal defense and law enforcement. He continues to defend individuals and corporations accused of white collar crimes, as well as defending individuals and governmental entities accused of misconduct. His practice also involves the firm’s corporate/business litigation, including corporations, small businesses and individual business owners in contractual disputes, premises liability, and employment issues. Mr. Seki has extensive trial experience in both State and Federal courts. In addition to his legal case work, Mr. Seki is a lecturer and instructor. He has lectured to numerous law enforcement agencies and associations, including the Los Angeles Police Department and the Los Angeles County Sheriff’s Department. He has also provided legal commentary for E Channel, KCET’s “Life and Times”, Nippon Television, and “Bridge USA” Japanese magazine. A full time faculty member at Southwestern Law School, Mr. Seki is a professor and the co-director of the school’s Trial Advocacy Honors Program. He was honored in 2000 with the Southwestern University’s first annual Adjunct Excellence in Teaching Award. For 2008, he was recognized by KCET and Union Bank as the Local Hero for education for Asian Pacific Heritage Month. In 2016, he was named Southwestern Law School’s Alumnus of the year. He is the chairman and a board member of the Go For Broke National Education Center. He is a past president and lifetime member of the Japanese American Bar Association, the 2003 recipient of the Asian Pacific American Legal Center’s Pro Bono Award. He is a member of the U.S. – Japan Council and a member of the 2003 Japanese American Leadership Delegation. He is also a member of the California Attorneys for Criminal Justice and the National Association of Criminal Defense Lawyers. He is a Kizuna Advisory Council Member and serves on the Asian Americans Advancing Justice Los Angeles Executive Advisory Board. Appointed by the President of the United States, he is on the Selective Service local board. Recently, Southwestern Law School honored Mr. Seki as Alumnus of the Year for 2016.